“I am so happy to join this innovative, mind-body-spirit community and platform. "I am delighted to be part of the AYRIAL community of gifted consultants and professionals in the mind, body, spirit realm. It is especially important to have a platform to find vetted, credentialed professionals in the fields of Feng Shui, Medium-ship, Life Coaching, Astrology, etc. I had been looking for the right platform for Narrative Space and was flattered when Victoria invited me to its group." "I admire Victoria’s vision for creating a cutting edge platform for East/West body, mind & spirit community. I am honored to be a part of her vision and to help transcend the mysticism of Chinese Metaphysics to benefit others. "The quality and professionalism of AYRIAL is why I decided to join the group. I'm confident that my work will be held to the highest standard." Are you looking to attract new clients? Are you ready to promote your book/products? Join AYRIAL - your mini PR firm! "I think AYRIAL is a great concept and Victoria Weston a dynamic knowledgeable booster! "I chose the AYRIAL platform because it’s expedient, efficient, comprehensive and affordable. It helps me reach the right people." "Victoria’s multi talented initiatives have always been infused with the highest ethical standards. I look forward to participating in Ayrial & utilizing their technology, which is important today." AYRIAL promotes you, your services and products! AYRIAL is a body, mind & spirit Association of Exceptional Lifestyle Consultants; Professional Intuitive Consultants, Astrologers, BaZi Readers, Life Coaches, Feng Shui Consultants, Dream Experts and Wellness Advisers. AYRIAL makes it easier for individuals to connect with #theBest! You’re a professional lifestyle consultant with a message and we have a passion to share it! AYRIAL utilizes the latest technology, resources and tools to effectively promote you, your services and products. Unlike other groups where you pay handsome member fees and get listed on a website; think of Ayrial as your mini PR company. We want you to succeed. It’s that simple. Our AYRIAL team wants to help you reach your goals to achieve greater success. We offer two membership opportunities: Associate Member and Professional Elite Member. All interested applicants must submit a bio along with contact information. Applicants must meet certain requirements such as a minimum of two years in business and verifiable references. Each membership category provides benefits that best fits your needs and goals. With the exception of Professional Elite membership, which is for individuals who provide products or services and want to grow their business. You can’t grow your business all by yourself. We look forward to hearing from you. Contact us today and let’s discuss how an AYRIAL membership can benefit you and your business. We are celebrating our AYRIAL launch by inviting professional lifestyle consultants including professional psychics, psychic mediums, feng shui consultants, holistic practitioners, astrologers and all dedicated to the “body, mind and spirit” community to join for a one-time set up fee of and a modest recurring monthly membership. Promotion and marketing is about repetition. We all have seen print, online and television broadcast ads from major businesses. Whether it’s “milk, Ford or BMW,” they keep their name, their product benefits up close and personal. AYRIAL Smartphone App for iPhones and Android. The AYRIAL app makes it easy for users to connect with an AYRIAL lifestyle consultant. AYRIAL Alexa Skills: We currently have AYRIAL Feng Shui and AYRIAL Newsflash. It is the Age of Voice and it’s no secret we love to utilize the latest technology to engage our audience with exciting content, member news, member spotlight. We are currently working on a third Alexa Skill to feature AYRIAL members and allow Alexa to send member and contact information via weblink to their mobile devices. This will make it convenient and easy for users to contact an AYRIAL member for services. *Alexa Skills are easily enabled for Amazon Echo devices. The potential audience is in excess of 50 million users. RBC Capital Markets predicts Alexa device installations could reach 128 million by 2020! We also encourage our AYRIAL NewsFlash users to visit our web version so that they can find the pertinent links discussed. This is also promoted online, socially and via newsletters and a great way to listen to archives. In addition, we provide custom press release services for each member as well as group press releases. We publish and distribute our AYRIAL news and podcasts to social media and newsletters. We promote AYRIAL articles, often written by members via third party content marketing. Unlike those expensive TV ads, or Google AdWords, you won’t spend thousands every month. You’ll be investing in an exceptional group, spend less and reach a unique audience niche. Many boutique PR firms charge between $3000 and $5000 monthly retainer fees and often takes months to see results. Google AdWords can cost you a minimum of $400 a month that deliver weak results – it’s hard to compete with companies with big budgets. Online press release services such as PRWeb or PRnewswire charge anywhere from $250. to $650. per press release. We provide the same personal press release customization with your AYRIAL membership. You are a professional with a message and we have a passion to share it! Contact us today and one of our team members will follow up to discuss details. Associate Members – If you are dedicated professional consultant and you have a passion to share your message with audiences everywhere, AYRIAL is a good place to build a foundation for success. As with any business, it takes time and dedication to promote your services and attract exceptional clients. Your AYRIAL profile page will be SEO coded with your specific keywords to help boost your name in internet searches. Associate Members still receive “Featured Consultant” and customized social media graphics promoted via our social media outlets including Facebook, Twitter, Instagram and Pinterest. You’ll be learning from a community of accomplished feng shui experts, meditation teachers, intuitive consultants, intuitive, astrologers, spiritual mediums and life coach professionals who can offer insight to help build your business, share creative ideas for marketing or writing a book. Join today and grow your consulting business! AYRIAL will promote you and your services online and via our exciting new smartphone AYRIAL App. You’ll be seen in multiple places. Clients contact you directly. AYRIAL’s Associate Membership is renewed annually. AYRIAL will promote Associate Members as a group via press releases, Rich Media Articles, AYRIAL TalkTime interviews distributed via iTunes and STITCHER. Contact us today for membership details! Professional Elite Membership is for consultants who also provide other services in addition to consulting as such a desire to promote books, events or speaking engagements. This is the level for those who want to grow their business now and continue to build an audience for the long term. Contact us about our AYRIAL Professional Elite Membership; ask us about our introductory membership offer, available for a limited time. Elite Members will also receive up to three press releases annually, custom graphics for social media, podcast interviews to discuss their products and services as well as discounts on any AYRIAL promotions such as advertising, special events and more. In addition, Elite members are included in the AYRIAL smartphone app and Alexa Skills for Amazon Echo devices. Currently we have two Alexa Skills: AYRIAL Feng Shui Tips, once users enable the Alexa skill, they receive a daily feng shui tip on how to attract prosperity, romance, good health and more. AYRIAL Newsflash presents weekly AYRIAL news and promotions, member highlights and a featured podcast. Voice-activated, data-driven devices are the future and devices like Amazon Echo are a more personable way to communicate with our audience. Clients contact you directly and AYRIAL does not take a percentage of client consulting fees. AYRIAL offers Elite Members discounts on innovative digital publishing tools, custom “landing pages” also known as “lead generation” pages to capture email subscribers. Imagine taking your book or books and publishing them digitally – updating them in minutes sending out notifications to let your readers know. Today users are on the go; we use our smartphones and iPads, tablets to read rich content. Digital publishing is an excellent tool to promote you, your message, your books and to keep your audience engaged. Contact us today, we’re here to help you grow your business! We can’t wait to talk with you! Feel free to conveniently schedule a 30-minute telephone appointment. 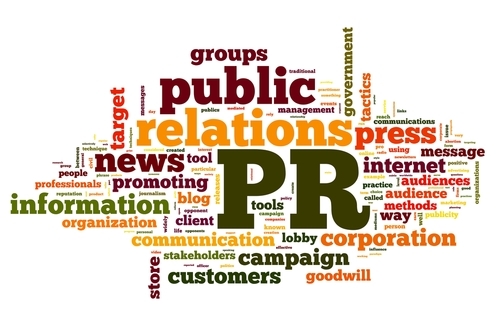 Public Relations!AYRIAL will promote you! AYRIAL member benefits includes PR to boost your visibility on the internet. We will routinely publish and deliver newsworthy press releases about you and your work, services, books, events. Buying GOOGLE Adwords is expensive and generates little results. Content providers such as OUTBRAIN and TABOOLA refuse to deliver psychic themed content. AYRIAL provides a cost effective solution. AYRIAL APPAYRIAL APP for iPad, tablets & smartphones! In January 2016, AYRIAL will release its APP for smartphones, iPads, tablets. This will be a free download for users who want to keep in touch with the best psychic, intuitives, life coaches – to literally have access to our consultants and content at their fingertips! 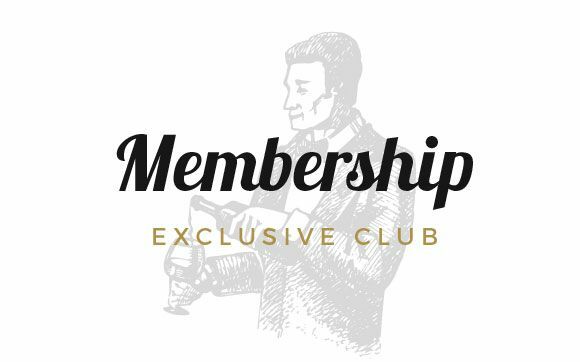 Members-Only ContentEngaging Content & News! Content is king on the internet and on APPs! 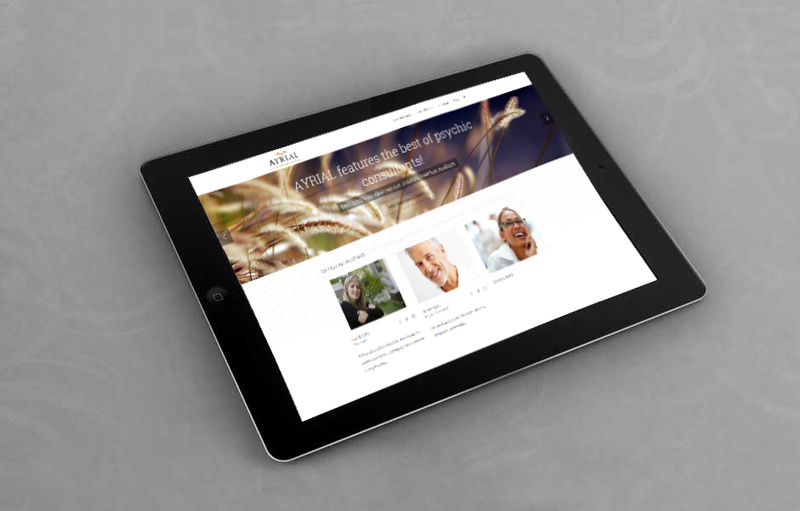 AYRIAL will produce fresh content every week to keep our visitors – your potential new clients engaged. While we will deliver fresh content for Ayrial.com, we will have exclusive content for our AYRIAL APP. Members can submit exclusive articles for our blog, newsletter or APP to keep your audience engaged. Articles are subject to editorial approval.